I’m all for lovey-dovey stuff when it comes to Valentine’s Day. 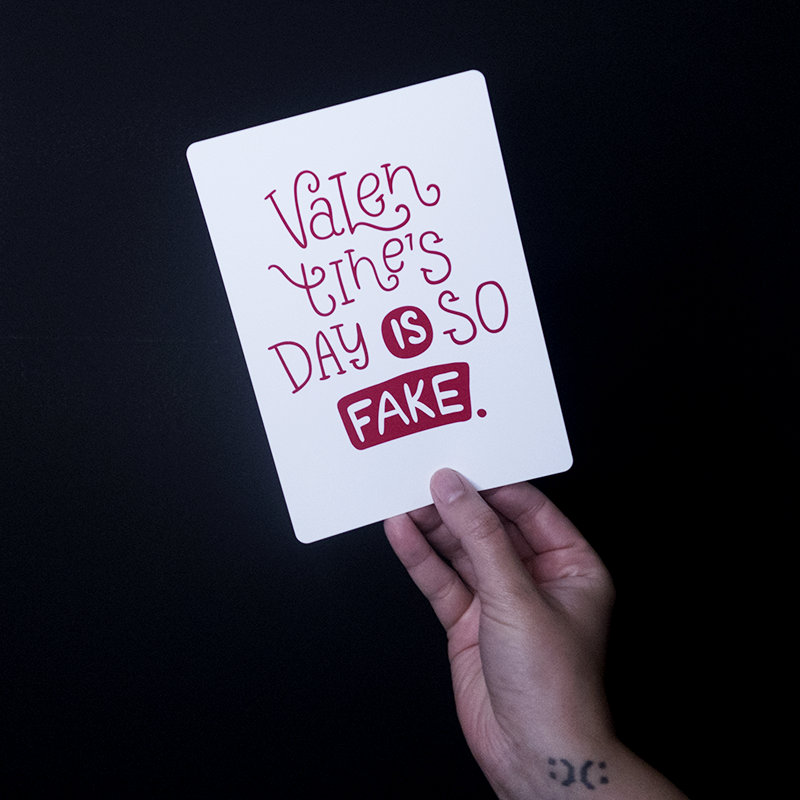 But that doesn’t mean that everyone else feels that way about Cupid’s big day. I really enjoy Creative Market for their fonts, templates, you name it and signed myself up for their six free weekly downloads. 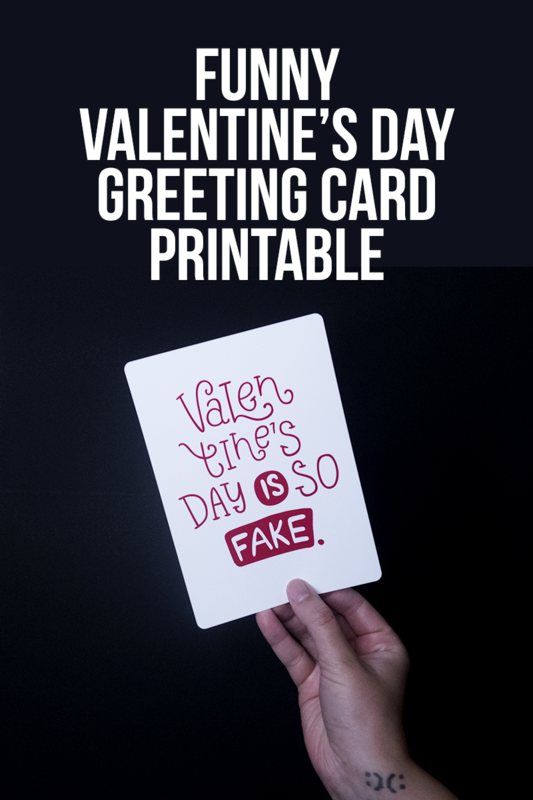 With Valentine’s Day sneaking up on us faster than we can say “Candy hearts give me heartburn.”, this cheeky collection of Valentine’s Day Greeting Cards by Wewhitelist inspired me make a printable. 1. Download the Valentine’s Day greeting card files. 2. Create a 5×7 inch canvas in the photo editing software you prefer most. 3. Add the design of your choosing onto the canvas and resize to fit. 4. Load your printer with the HP Rounded Corner Photo Paper and print. 5. Mail your Valentine’s greeting to someone you love. Some of the links in this post are affiliate links. Some of the products mentioned were provided through brand ambassadorships.